Analyzing how one airliner is upgrading its fleet using new automation and flight procedures. 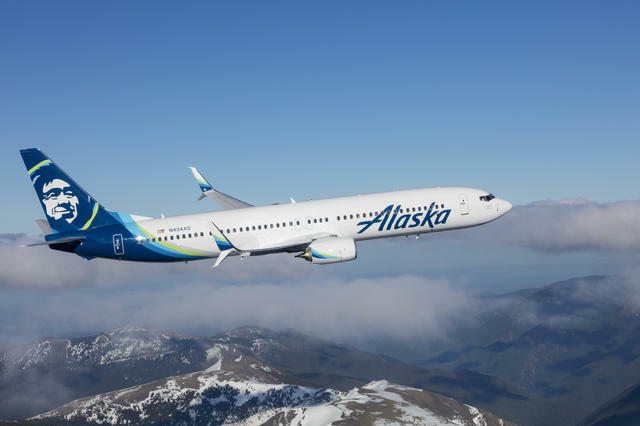 Alaska Airlines signed an agreement with Gogo in August to add the 2Ku satellite internet connectivity service to a growing fleet of 218 Airbus A320s and Boeing 737s. 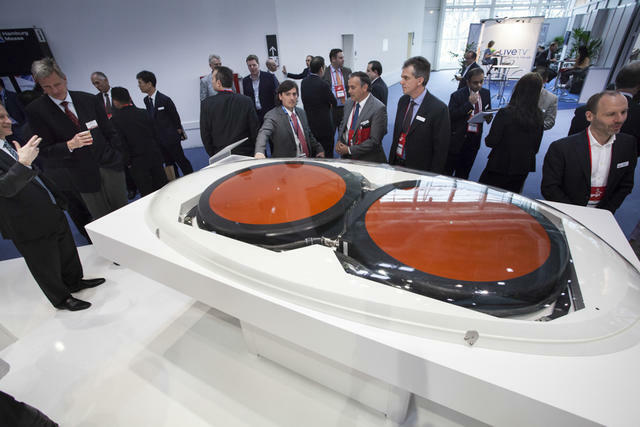 That process will involve the replacement of antennas, along with the installation of new modems, wireless access points (WAPs) and new line replaceable units needed to swap out Gogo’s ATG-4 for 2Ku. This is only one of the new technologies the airline plans to start implementing on its fleet in 2018, as the carrier currently has several unique upgrade and trial activities. For example, the airline is conducting flight trials to evaluate the use of NASA’s Traffic Aware Strategic Aircrew Requests (TASAR) software. TASAR is designed to allow flight crews to make trajectory change request decisions in en route airspace, using near-real-time weather information, special-use airspace status and traffic conditions. According to a NASA analysis of 1,600 Alaska Airlines flights, access to this type of dynamic airspace information and alternative trajectories suggested by TASAR could save the company 1 million gallons of fuel and 110,000 minutes of flight time annually. 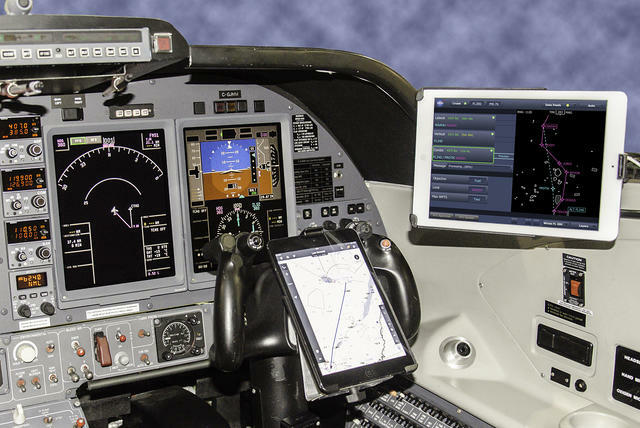 When upgrading to new technology, Bret Peyton, Alaska Airlines director of fleet technology, said he considers the following three questions: Does your technology increase safety and compliance? Does the technology help our flight operational throughput, reliability, guest experience and on-time arrivals? Does the technology support the future NextGen airspace vision? Preparation for the introduction of a new service such as 2Ku at an airline is only seen to the flying public as a new user interface with a noticeably faster connection. The airline’s introduction experience is something entirely different, as it has to transition to the service from an internal organizational perspective to make it operational for passengers and flight crews. While passengers in the cabins of Alaska’s 737s and A320s are set to benefit from streaming video and a more seamless web-surfing experience, Alaska Airlines would receive a benefit of its own internally. 2Ku can enhance operations for pilots, maintenance technicians and others connected to the company’s flight operations division. Alaska recently trialed the use of different turbulence update EFB software, finding WSI’s Pilot Brief to be the winning application. He also noted that its airplane engine monitoring system and flight operational quality assurance (FOQA) can be downloaded over IP. “ACARS has been a very efficient system for us. We leverage ACARS quite a bit, but it’s an old technology, and IP provides a path forward that is more scalable in the future,” he continued. Alaska Airlines is the commercial air transportation industry’s first user of performance-based navigation (PBN), having pioneered RNP approach and departure procedures during the early 1990s in Juneau. Today Alaska uses more than 50 different RNP procedures at 19 airports throughout the National Airspace System (NAS). The airline says it is committed to seeking improvements for descent, approach and landing procedures and has served as an example of how to spread PBN throughout the NAS, as the FAA is currently doing with its NextGen program. Alaska’s 737 fleet is equipped with PBN avionics, which enables it to fly any available PBN procedure, including RNP AR, according to Cody Hargreaves, Alaska Airlines PBN engineer and chief RNP designer. Hargreaves estimates Alaska saves approximately 500,000 gallons per year due to reduced track miles flown and less fuel used through the use of RNP AR and PBN. Alaska’s flight operations team focuses on tailoring approaches to specific terminal areas. Shortly after RNP procedure commissioning, aircraft within Alaska’s holding company, Alaska Air Group, were the only ones to land in Sun Valley during a snowstorm Dec. 25. He explained the completion percentage there last winter rose from 75% to 94% due to the RNP approach. There are also fleet considerations to be made, such as how the new Embraer E-175’s introduction to Horizon Air — Alaska’s regional outfit — can integrate with Alaska’s RNP program. The final assessment on the E-175’s RNP capability is due in 2018. All of the new Virgin America A321 aircraft being integrated into Alaska’s fleet are also featuring full PBN and RNP AR capability. Alaska Airlines is also enabling new flight navigation capabilities through its partnership with NASA. The two are collaborating on the development of the aforementioned route optimization software TASAR, which can help enable real-time route optimization for pilots. The goal for Alaska is to use TASAR to automatically analyze sets of airspace data that can enable real-time routing or altitude changes, caused by changes in wind conditions, traffic patterns, turbulence and more. Boeing is also upgrading Alaska’s 737s with third-generation multi-mode receivers (MMRs) — an upgrade for the 737 that opens up satellite-based augmentation system (SBAS) and ground-based augmentation system capability (GBAS). The FAA describes GBAS as a ground station capable of providing corrections to aircraft in the vicinity of an airport in order to improve the accuracy of, and provide integrity for, the aircrafts’ GPS navigational position. Unlike instrument landing system (ILS) — which requires one frequency per system — a GBAS only requires one VHF assignment for up to 48 individual approach procedures, the agency says. GBAS and SBAS usage worldwide is relatively low, but growing. As a pioneer with RNP approaches, Alaska could quickly become a leading user of GBAS and SBAS. previousData Analytics Driving Efficiency in Commercial Aviation nextHow Secure Are IFEC Systems?